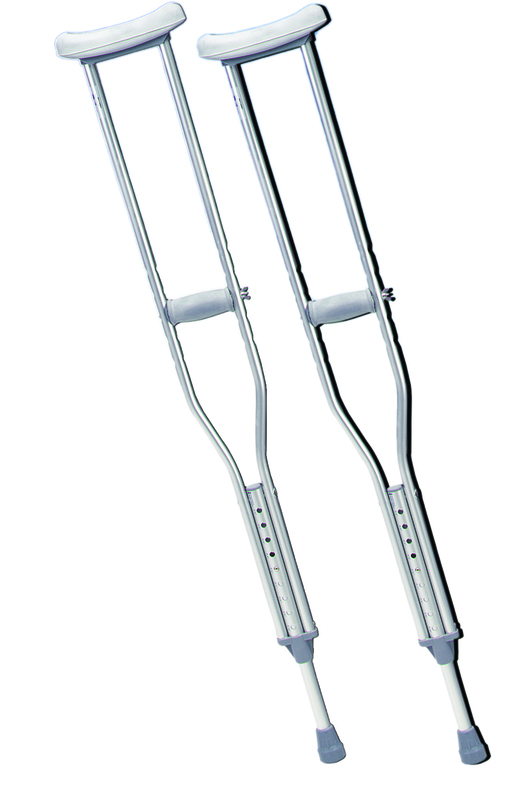 We offer a variety of canes, crutches and accessories to suit your clients’ needs. Quad base canes are especially helpful for those with balance issues; crutches with or without forearm support are height adjustable for users ranging from 4’2” to 6’6”. High quality four section aluminum construction. Shaft covered with white and red reflective tape for night visibility. Cane length: 45.75". Comes standard with wrist strap and reinforced nylon tip. No more dropping canes and walking sticks! One end wraps around the cane/walking stick shaft while the larger loop, on the opposite end, wraps around the wrist. Made of strong webbing. Small plastic fitting mounts on cane to hold it on a table edge when not in use. Best when used in pairs to contact both bottom and top of table. Small rubber band (included) placed around holder end maintains a secure grip on cane shaft.